The holidays aren’t that far away – are you already falling behind? By purchasing a 2D Task Manager: Lifetime License, you’ll be able to tackle all your lists. Go For It is a simple and stylish productivity app for Ubuntu, featuring a to-do list merged with a timer that keeps your focus on the current task. Check it out. If you are one of those who work with servers, or are die-hard command line fans, you can use Calcurse to manage your appointment and get organized. Here’s how you can do so. Want to get organized and boost your productivity in the new year? Todoist can help and now is your chance to win a one-year premium subscription. Email plugins are useful to help you get your tasks done on time. Here are some Gmail plugins to help you improve your productivity. There are a number of to-do lists for Mac and here we have chosen the top five that we think you should have on your machine. The Eisenhower Matrix is one of the simplest, yet powerful method that can quickly make you a lot better at managing your time. 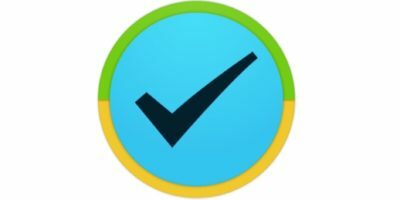 Eisenpower is a productivity app for Mac that is based on the Eisenhower Matrix and is best used to organize your tasks and to-dos by importance and priority. Regardless which email client you use, the process of checking and reading your emails is the same. You read one email, either reply, delete or marked as unread and proceed to the next email. What if you can now turn your emails into a big to-do list and change the usual way to deal with your emails?